My First Transfer Done In The Field! ¡Hola mi familia y amigos! What an awesome week! Every week gets better and better, and I think that is because the language is getting better. I can 100% see the Lord´s hand in my life in every single way, but specifically with the Gift of Tongues. Theres no way I would be able to survive without it! This week was a really good one and I hope I can remember everything that happened! Tuesday were interviews with the president for our entire zone. We only had 15 minutes scheduled but when we got there at our tim, he had been taking like half an hour to an hour with everybody so we spent all day waiting to meet with him and hanging out at the stake center. When the time finally came to meet with him my interview went really, really well. He is super awesome and we were just able to talk about how everything is going. He gave me some really good advice on how to handle certain situations in my area and what not and he kept complimenting my spanish so that was a plus! haha My goal for this next 6 weeks is to be able to train afterwards. Not that I am striving for the position, but I just want to be the type of missionary that the President can ask to do anything he needs done. 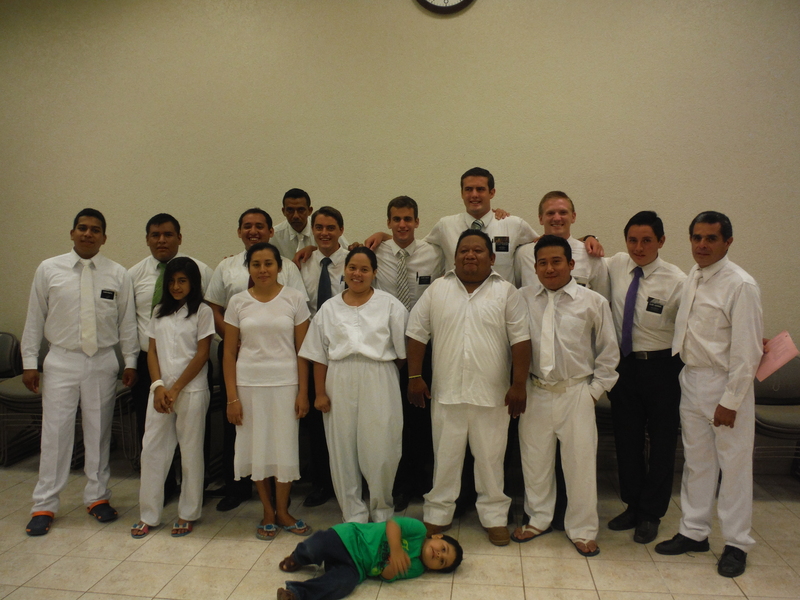 Saturday night had to be one of the best nights of my mission so far. We baptized Dania who has been our investigator my entire time here and from before, and also the other Elders in our ward had a baptism. And on top of that there were three other baptisms for the Elders that we share our chapel with so it was just a really awesome night full of baptisms! I felt the spirit testify to each of them that the decision that they made was the right one. Dania is super awesome and I am so lucky to have been here for her baptism. I feel that way about everything I do here. 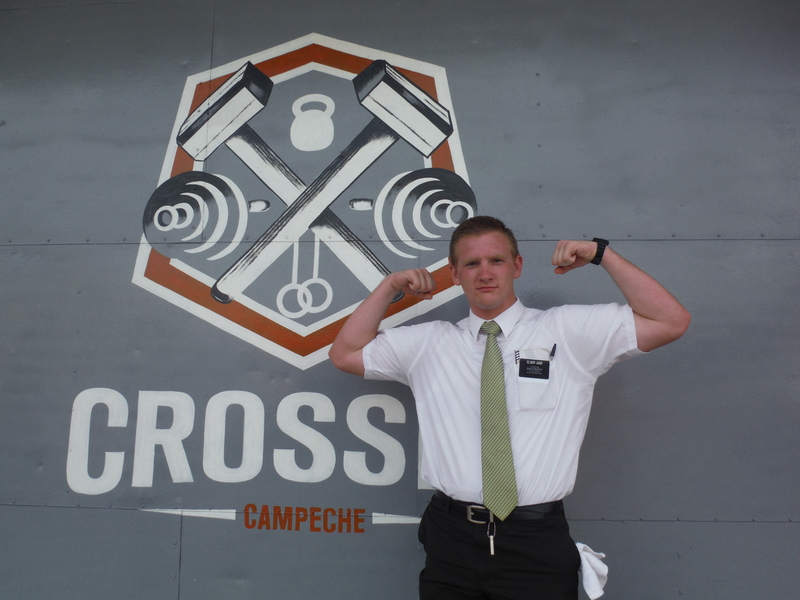 I feel so LUCKY to be a missionary. Every night I thank God that He trusts me enough with my area, and all of the people in it. I was reading today in the Book of Mormon in Alma in the chapters that Ammon is just giving thanks to God that he was able to play a role in the conversion of so many people. Everybody go read Chapter Alma chapter 26. If there is anything that we can take from General Conference, and from the scriptures, it is that our biggest responsibility as Disciples of Christ and God is to share the gospel! I absolutely love this work and everything about it. Yes, it is tough. Yes, it is demanding. But boy is it rewarding! Mexico is awesome. Yes mom there are dangerous wires but you raised a smart boy and I will avoid them! I think I am finally getting the hang of missionary life too! Everything is just going really well and I cant thank all of you enough for all of your prayers and thoughts. I love you all with every inch of my being and I hope that everybody is doing well! Until next week! This entry was posted in Campeche, Pictures on October 15, 2013 by Courtney and Nickolai.